Jubilee Community Arts (JCA) is a regional, community cultural center dedicated to preserving and presenting the traditional arts of the Southern Appalachians. We began operating as an arts presenter in Knoxville in 1969 and received 501(c)3 status in 1980. The organization's stated mission is "to promote, preserve and present the performing arts of the Southern region and to nurture the cultural milieu responsible for the birth and evolution of these and related art forms." JCA serves two overlapping constituencies: 1) rural, predominately European- and African-American communities of East Tennessee, and 2) the more ethnically diverse communities of the Knoxville metropolitan area. Concert Series -- One or two nights a week from September to May we host some the finest traditional artists in the world. The majority of our concerts highlight the salient genre of the Upland South, including fiddle, banjo, string bands, a cappella singing, gospel, blues, and related forms. Knoxville is at the center of an incredibly rich complex of traditional performing arts and it is our primary task to document, present, and thereby preserve those traditions. We also recognize the importance of the traditional arts of more recently arrived populations and so schedule concerts ranging from mariachi ensembles to Balkan singing. And we always make a place in our series for younger and emerging local art forms that derive from the older traditions. Radio Programming -- Altogether JCA is regularly on the air for six hours each week. Mountain Jubilee with program host Paul Campbell is jointly produced with WUOT and airs in Knoxville at 9pm on Saturdays and is also aired by Carlisle, PA station WDCV and by WDVX at 6 pm on Sundays. Sunday Jubilee airs from 6 to 11 pm Sundays on WDVX including Mountain Jubilee, Live at Laurel, Wild Hog in the Woods, Music of the Cumberland Trail and Tennessee Country Classics. All our radio programs are available on the internet. Festivals -- Our Jubilee Festival, now in its 50th year, is devoted to presenting older traditions of the area. The finest musicians in the region have played at the Jubilee Festival. JCA also produces on a less regular basis special events highlighting Gaelic music and the arts of the many diverse communities of the area. Jubilee Records -- JCA recently began publishing digital recordings. Our first titles include an anthology of the Pine Breeze Recordings, ballad singers Johnny Ray Hicks and May Justus, and a training CD on area harp singing. The Fryer Gallery -- In 2000 we opened our new Gideon W. Fryer Gallery in the lower room at the Laurel Theater. The gallery is intended to provide a space for interpretive exhibits on the traditional arts of the region. Field Research -- With a trained folklorist on staff, we spend as much time as we can locating and documenting regional traditional artists. We maintain a database and act as a clearinghouse for area artists, connecting artists with producers. Some of the presenters we have worked with include The Smithsonian Institution, The Library of Congress, NPR, Prairie Home Companion, The Southern Arts Federation, The Georgia Arts Commission, The Kentucky Arts Commission, and The North Carolina Arts Council. Archives -- We attempt to document all our performances and field research. Our archives contains over 1200 7" reels of analog audio tape, 200 2-hour digital audio tapes, and about 2000 still images. 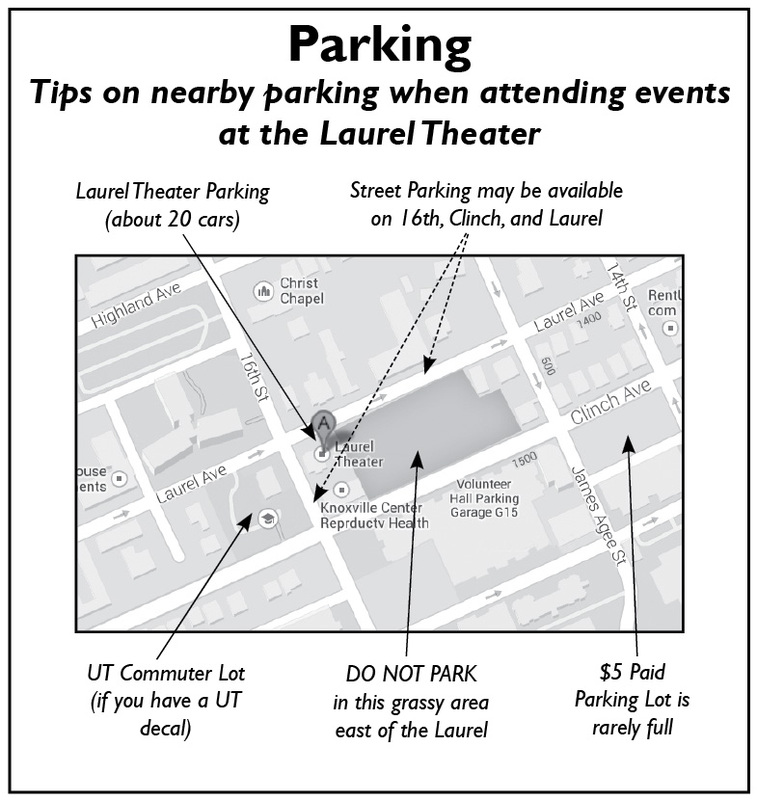 The organization owns and operates the Laurel Theater, a 19th century converted church located in the Fort Sanders community of Knoxville. The building was extensively renovated in the 1980's and houses an acoustically and visually excellent concert hall, a secondary display and performance space, an archives of sound recordings, audio production facilities, and the organization's offices. Jubilee Community Arts and the Laurel Theater is home to many affiliated groups devoted to the furtherance of traditional arts. They include The Epworth Old Harp Singers, The Knoxville Country Dancers, The Knoxville Cajun Dance Association, the Trollkretsen Scandinavian Dancers, The Knoxville Scottish Music Club, The Knoxville Writer's Guild, The Knoxville Swing Dance Association and the English Country Dancers. In an average week during concert season over 1000 people use the Laurel Theater. Four times a year we send out our calendar listing all our current activities to a lovingly maintained mailing list of about 4,500 households. We also reach about 5,000 people a week via our radio programs. Jubilee does all this with only one full time and two part-time paid staff. How is that possible? A lot of people help out. We have a large, working board and an active volunteer corps. Call us if you'd like to help. About half the money we need comes from ticket sales, service contracts and other earned income. 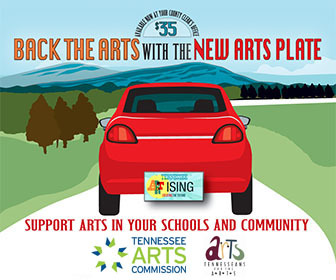 We regularly receive major financial support from the National Endowment for the Arts, the Tennessee Arts Commission, the East Tennessee Foundation and the Arts and Culture Alliance of Greater Knoxville. We are also a member of and receive support from Community Shares. Other supporters include the City of Knoxville, Knox County. 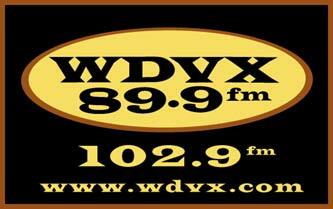 Our major media partners include WUOT, WDVX and Ullrich Printing.